Hey, guys! Riku here. With all the newest tech being released here and there, it gets hard choosing what’s right for your build or what upgrade you’re going for. There’s a lot to consider when you’re looking for the ‘right one’, especially when it comes to 10-series graphic cards. Specs, price, overall performance, features,etc all come into play. 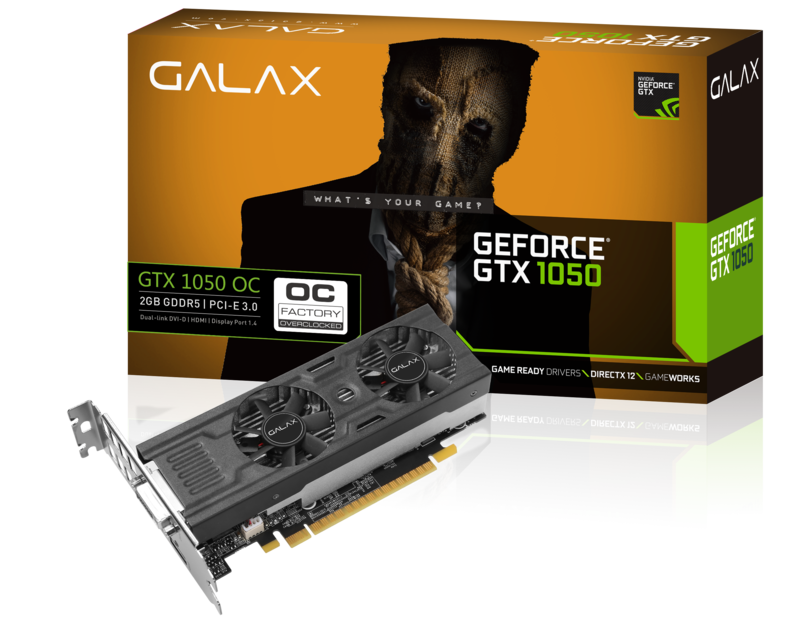 To get started, let’s take a look at one of GALAX’ budget and space-efficient models, the GALAX GTX 1050 OC LP. And when I say space-efficient, I mean space inside your case since it has the LP included in the name. LP means Low-Profile and is usually a smaller sized graphic card that can fit easily into ITX cases. Oh and it’s also OC (Overclock), so if you’re into getting the most out of your card by pushing it to higher speeds, it’s another good bonus. Note: Specs taken from their website. For full specifications, check out this link. The box includes the GALAX 1050 OC LP unit, an instruction manual and its drivers. It’s securely kept inside a black box filled with soft black foam for all the items mentioned above. And here is everyone’s favorite part – The price and where to buy them. Of course, the price will vary from store to store but upon checking PCHub, it’s priced around P 6,750. So you can guess the stores will play around with that price range. Feel free to leave a comment if you guys have any questions,suggestions,inquiries,etc. Shoutouts to GALAX Philippines for sending this over! Can’t wait to do more product features on my site. Follow my channels on Facebook, Player.me and on Twitter to find watch out for giveaways and content like these! Happy Gaming! Previous Welcome to Riku HQ + More Official Riku Art! Ohh! Nice graphics. 😂 Ang saya nyan! Iam Always watching for your stream! I will support you sa mga ginagawa mong vids.